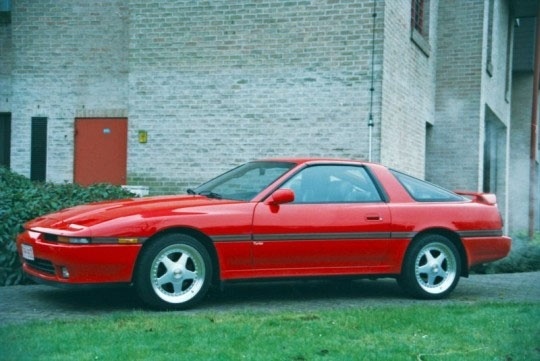 Have you driven a 1990 Toyota Supra? Displaying 1 - 10 of 17 1990 Toyota Supra reviews. 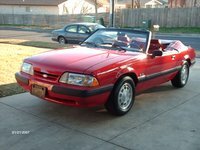 Great Car If You Are Looking For A Project Car Like I Was When I First Got The Car. — I love the car. Fun to work on if you like a good project car, but its time consuming. Tons of body kits you can swap out for the stock. Parts for it are hard to find but typically they are at decent prices. Pros: It looks great. Sounds great as you are flying down the road in it. Alot if things you can add or change on the car. Power seats, power windows, target top, flip up headlights. Cons: Target top is a hassle and time consuming to remove, takes two people to remove and install. Time consuming to work on engine. Hard to find all the replacement parts needed. Incredible Car!! — Amazing cars, only thing I truly dislike about the majority of these cars is the 7m engine. I just threw a rod due to a previous notorious blown headgasket problem from factory. Very fun cars, tons of aftermarket support, easy to build/maintain with some mechanical knowledge. Cons: -7m engine is an alright motor, however very displeased about the common headgasket issue. blown motors should be replaced for free because of their major error. Super Supra — Overall an execellent car...its been in the family for 21 years. The Supra has always been reliable, economical and fun to drive. Everything on the car works still to this day. I recently had the body repainted and the interior was completely cleaned/refurbished. The Supra could easily be a show piece. Pros: Styling, Toyota has lost alot of the passion it once had. A Great Past Offering From Toyota, That Will Always Be One Of The Most Technological Models Ofthe80s — not the fastest car in stock form, however it is a true technology statement. 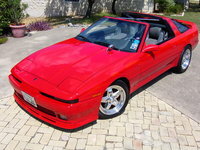 beginning this third generation in late 1986, it had dual overhead camshafts, optional turbocharged version, 4 valves per cylinder, and multiport fuel injection. it remained true to its sports car roots as well by keeping its rear wheel drive platform, unlike the celica during the late 80s. even with only slight modifications to the turbo system, it is quite easy to make over 300hp with the 7mgte engine. the main drawback to speed in this vehicle is the curb weight. Cons: it is not the fastest car out there "out of the box"
Awsome — Great acceleration, and handling, decient braking. Very sound with the targa top on w/o targa has major body flex. Beautiful outside and in. resonable on gas running 93. 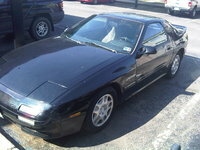 Best car ive ever owned funniest by far. Hands down the best toyota. My Supra — Waiting for a new motor, swaping in a 2j of gana build a 7m. Put the 7m from this into my other shop supra. was pushing 12 pounds. Made my own coil-over set up using Ebaich lowering springs, Inovative Wide band O2 Sensor, Full 3" exhaust with Apexi N1 Muffler, Sperco Intercooler, Moved the oil-cooler, now making it a full race car. Electrical Nightmare......but Fun To Drive — This car had great performance. Acceleration was slower than my 240SX, but that's cuz it's heavier. Handling is okay....as long as you can handle the tork. Horrible electirical issues though. Great milage. Very fun to drive. If i could find another in good condition...I'd get another one. 1jz-gte Swap — Built like a tank but also weighs as much as a tank. Great as a high speed long distance cruiser but not the best between the lights. This car is a bit of a hybrid. 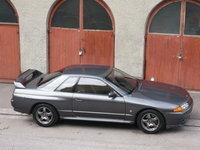 Gone is the 3.0 single turbo engine and in its place is a 1JZ-GTE Japanese spec 2.5 twin turbo. Even though it has a smaller displacement the HP is much higher as in the redline. My 90 Supra — Very fun car to drive. As for performance, its a very heavy car with low center of gravity making it pretty good in the corners but at the same time being so heavy it hurts the acceleration a bit. But when you get on the pedal you can realy feel that turbo pick up the slack boosting the car past everyone else. Everywhere I drive I always have people looking over to see what im driving. Looking for a Used Supra in your area? CarGurus has 66 nationwide Supra listings and the tools to find you a great deal.